6mm using mostly Rapid Fire! Regular meetings occur at least once a month at different venues. 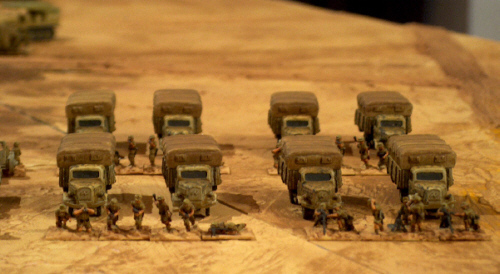 Above: A 15mm German Afrika Korps Infantry Battalion in the Desert.